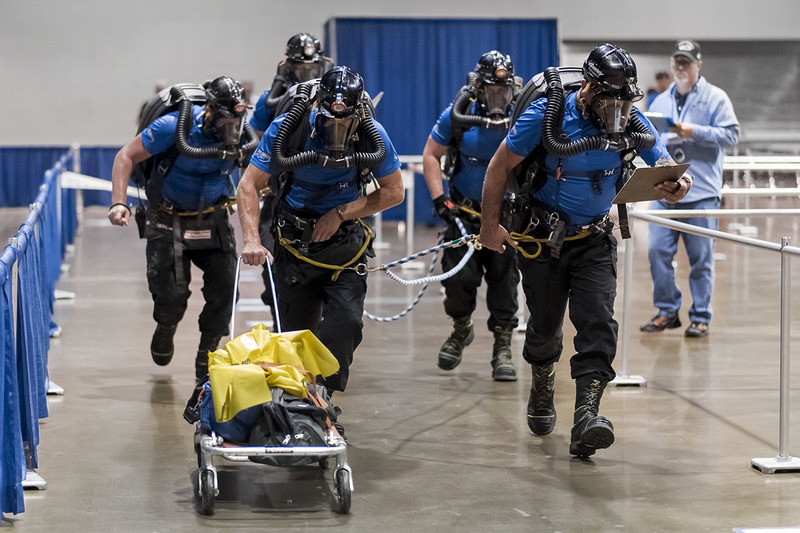 The UK Department of Mining Engineering will coordinate the Kentucky State Mine Rescue contests on August 20-23 in Lexington. The event brings coal miners, industry personnel, officials from the Kentucky Division of Mine Safety, and the Mine Safety and Health Administration to Lexington for three days of mine safety contests. The purpose of the event is to simulate an actual underground mine disaster, giving rescue teams a chance to stay sharp in the event of an actual emergency. The contests are held downtown at the Lexington Convention Center Heritage Hall beginning at 8:00 a.m. on Tuesday and Wednesday. The public is welcome to attend. For more information contact: Geaunita Caylor cell 859-494-1621 g.caylor@uky.edu.